Carpet tiles have been around for over 50 years and during that time seen many changes not only in technology but also in style and colour. Originally designed as a cheap floor covering to take advantage of left over materials and animal by-products, they have now become a real contender to the rolled carpet market especially where residential customers are concerned. Since the millennium and the age of the internet, the benefits and ready availability of carpet tiles on the web have really pushed manufacturers to keep up to date with market trends and 'in vogue' colours. Once only considered for use in commercial situations for their hard wearing characteristics, fire resistance and individual removal, all that has since changed. The advantages of carpet tiles are huge and although the industrial sector has had the leap using this type of floor covering for a few decades already, we predict that the humble domestic carpet tile market will catch up pretty quickly over the next 5 years or so and will help to transform the home and environment we live in. Use our handy fitting guide to instruct you how to easily lay the carpet tiles. When choosing a carpet tile for use in a bedroom it is always important to remember the construction of the tile as well as the colour. The likelihood of walking in this room with bare or stocking feet is quite high so requesting a sample first is worth a consideration before buying. You can use our free carpet tile calculator to find out how many tiles you need. Our Geneva range makes an ideal bedroom carpet tile, they are cut pile and feel extremely soft and look plush which will help to add a touch of luxury to your bedroom or guest room. Over the years many of our customers have also opted for a loop pile carpet tile. This can be fine to walk over but worth mentioning that it doesn't quite have the same level of comfort compared to the higher specification cut or twist pile carpet tiles. Both of these finishes also require less maintenance and are easy to vacuum making them perfect for use in these types of environments. You can always get creative too and add in custom designs. 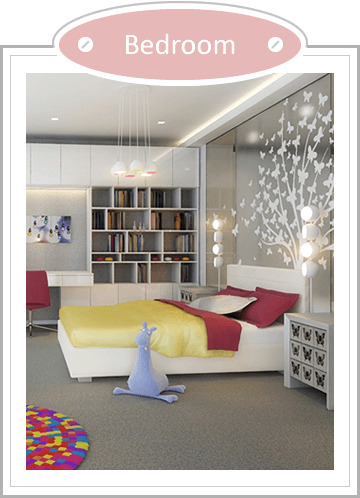 The bedroom is the one room in the home that a person can really put their own stamp on. From a teenager who is mad on Formula 1 choosing light grey and black carpet tiles to emulate the chequered flag at the end of a race, to parents laying multiple colours of the same range to create a bright and colourful environment for their toddler to play on and explore are all great ideas. You can cut in borders, pathways, names in tiles, make logos and even hopscotch in the corner to make a room feel more special and unique. If you have the idea and inclination the opportunities are boundless and all this made possible using only carpet tiles. 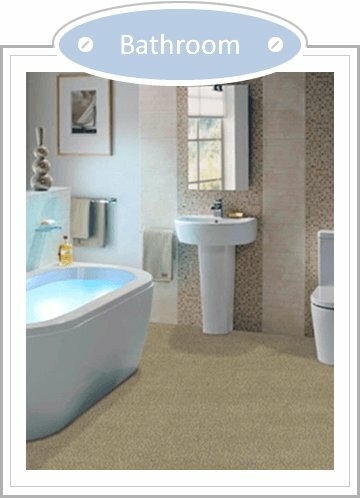 Again a few considerations are worth making before choosing bathroom carpet tiles. Granted areas around say a toilet pan are always going to be a slight issue for cleanliness reasons but in fact this is where carpet tiles can come into their own. You can always lift and replace if you have spares while still reaping the rewards of that warm feel that a carpeted floor brings. In the home most customers are happy to take on the job of fitting their own carpet tiles which in itself is a cost saving compared to other types of flooring. Only a few DIY tools are required to carry out the work. A tip for bathrooms is to use cardboard templates for cutting tricky shapes meaning less chance of wastage caused by mistakes on awkward cuts. Polypropylene tiles are basically made from refined fishing line and are best for bathrooms. This type of fibre is impervious to water helping to make them stain and odour resistant. Depending on the shape and configuration of your bathroom, carpet tiles can also be used in conjunction with vinyl to get the best of both worlds. Using a carpet strip or trim can split these two types of floor covering and if matched and chosen correctly can really add some pizazz to the overall aesthetic of your room. Again different carpet tile colours can be used to mark out feature rugs in front of showers, baths or sink units, adding some personalisation for no extra money other than a bit of thought before purchasing. We are here to help and can advise on what works best for a bathroom and also if you are having difficulty working out sizes. Carpet tiles in a kitchen might seem slightly strange these days given the varied choice of laminate, solid wood and ceramic flooring available however we still sell plenty to customers for this room of the home. Unfortunately, not everybody has the benefit of underfloor heating and super warm insulation so kitchen carpet tiles can really help in this instance. The bitumen backing on the rear of each tile can help to insulate and warm a space with minimal heat. Another point is that not everyone owns their home, many of our customers rent their properties and like the fact that they can quickly and easily change their floor covering when they wish with the added opportunity to choose a certain colour or style to fit the décor of the room. A carpet tile can be easily fitted or replaced, meaning accidents and spills can be dealt with quickly, making them of particular benefit where young children and pets are concerned. We have talked about the use of carpet tiles in kitchens before on our blog and how best utilised given your own circumstances. 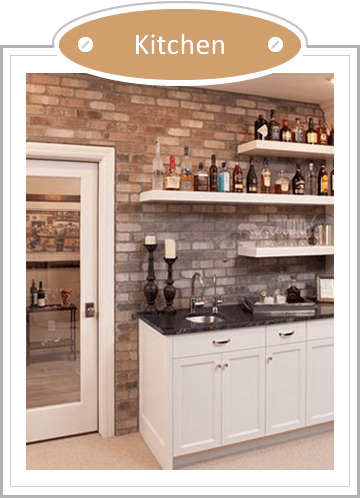 It's well worth noting that the kitchen is the hub of any home and is probably one of the most used spaces. With this in mind you have to make sure what you want to achieve when fitting domestic carpet tiles in a kitchen. Everyday issues like crumbs, pets, mud from a back door, or a build-up of grease from regular baking, will vary amongst households, so it is important to make sure that when you're looking for the right carpet tile at the right price and in the right colour you take this into consideration. When it comes to carpet tiles there's no exact science just common sense. Different carpet tiles perform better than others in different situations and you have to make sure you've chosen what's right for you. If you're unsure then ask, we have over 20 years of experience and have helped many customers over this time. We want to make sure you are happy with your purchase and hope you will see the benefits for yourself no matter if you're a first-time buyer or a regular Carpet Tiles Next Day customer. Our hope is that you'll return for more in the future for other areas of your home. The domestic residence has now become more versatile than ever before thanks to modern technology and for many who work from it as well. Whether it's an office, studio or a workshop in the back garden, creation and personalisation doesn't necessarily have to cost the earth when using carpet tiles for the home.